Whether you are preparing them for breakfast, brunch or a midnight snack, homemade muffins allow for a myriad of flavor variations and personal touches. 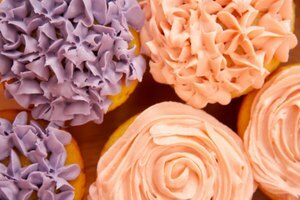 Like other baked goods, muffins can be made either from scratch using a recipe or with the help of a conveniently prepackaged mix. 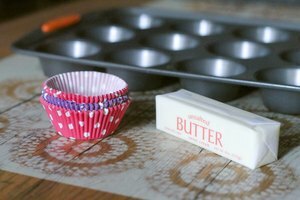 The method that you employ for making the batter doesn't affect the fact that a specialty muffin pan won't be necessary for the baking process. 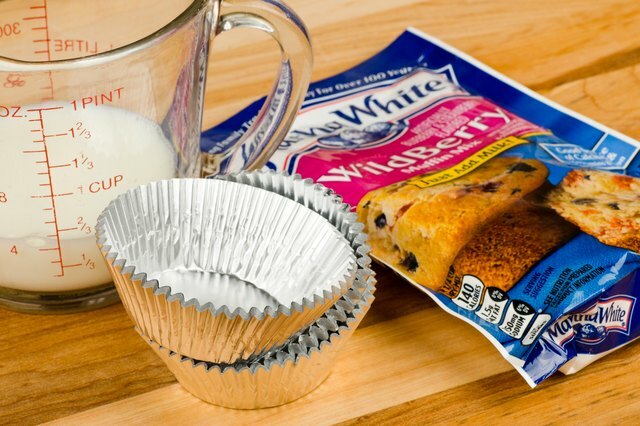 You will both save time and cleanup by simply utilizing foil baking cups instead. 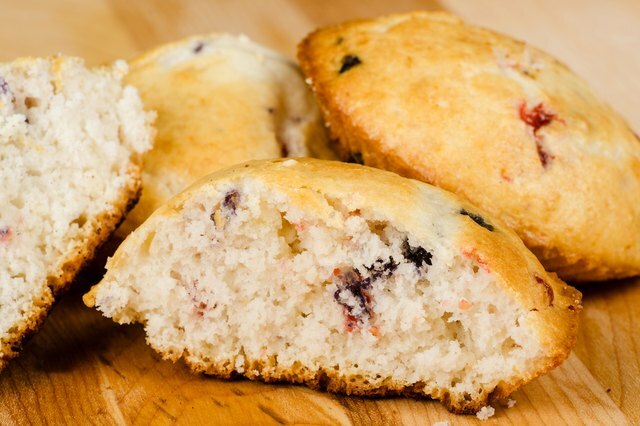 Learn how to make muffins without a muffin pan. Purchase all the necessary ingredients for your muffins, including the foil baking cups. These foil cups can be found in the baking section of grocery stores and will include 32 to a package. Exact ingredients will depend upon whether or not you choose to make the muffin batter from a recipe or with the aid of a prepackaged mix. 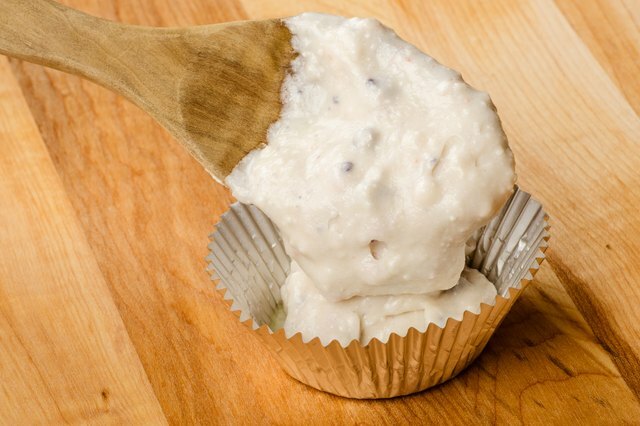 Prepare the muffin batter according to a scratch recipe or prepackaged mix directions. Even though you will not be baking with the help of a muffin pan, follow every step as usual. Line a cookie sheet with aluminum foil or parchment paper. Doing so will expedite your clean up time and also provide a barrier for any muffin batter overflow. Separate the foil cups, being sure to remove and discard the paper separators between each of them. Lightly brush the empty foil cups with melted butter or margarine. Fill each foil cup two-thirds full with batter, remaining conscious of equal distribution so the muffins bake evenly. 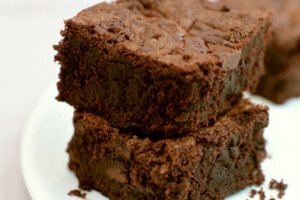 Place the filled foil cups on the foil-lined baking sheet and insert into the oven; baking time will vary depending upon specific recipe and altitude. Cool the muffins on a plate for ten minutes once they have been removed from the oven. 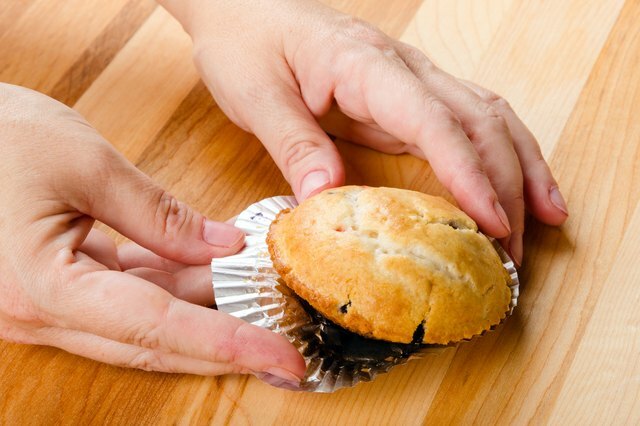 After the muffins have cooled, you may peel away the foil baking cups before or after serving or storing them. 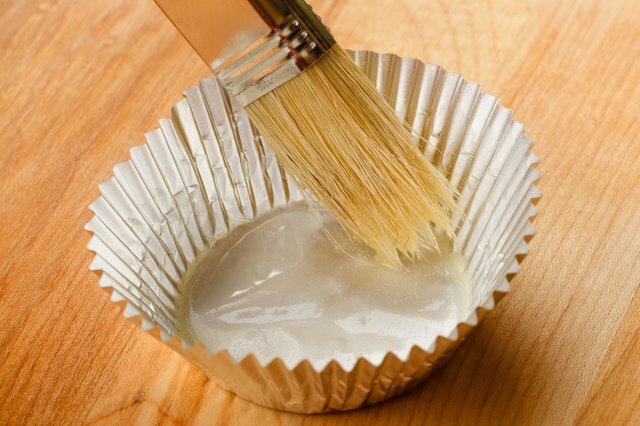 For a lighter option, apply non-stick cooking spray to the empty muffin cups in lieu of melted butter or margerine. 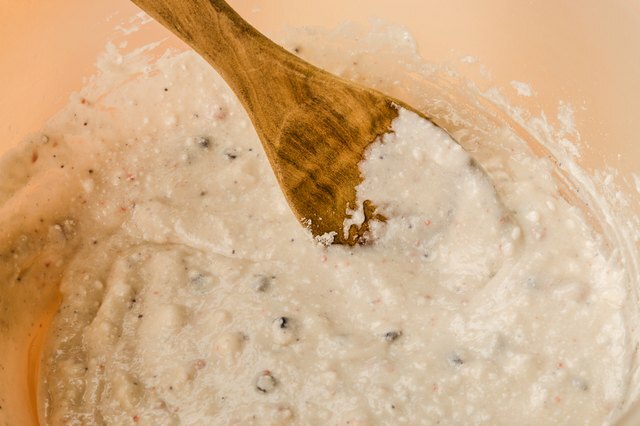 Do not pour leftover batter into already filled cups because you don't want to waste any; doing this may cause runny centers within the muffin. Instead, simply prepare more foil cups for filling.